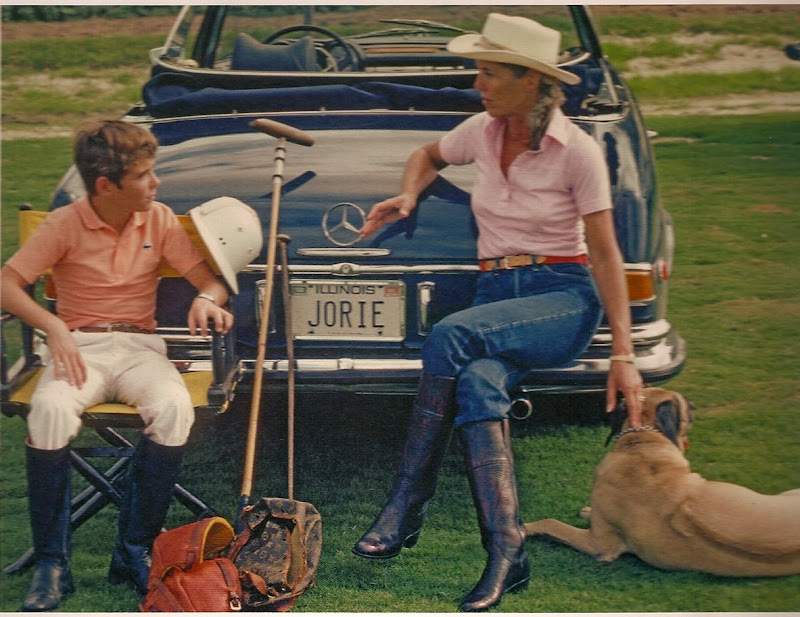 Scanned photo of Jorie Butler Kent instructing her son in polo in Palm Beach, Fl. by Slim Aarons, 1982. This is definitely one of my favorite Slim Aarons photos, gotta love that beat-up Louis Vuitton bag in the foreground. Recently posted an image of Jane Fonda with her LV Monogram bag in 1971- think you would like it. Can't wait for your book to be published! i'd be happy with a pair of those boots and that doggy. this is an awesome photo. I like this photo - I never look that chic after riding. Just sweaty and tired.